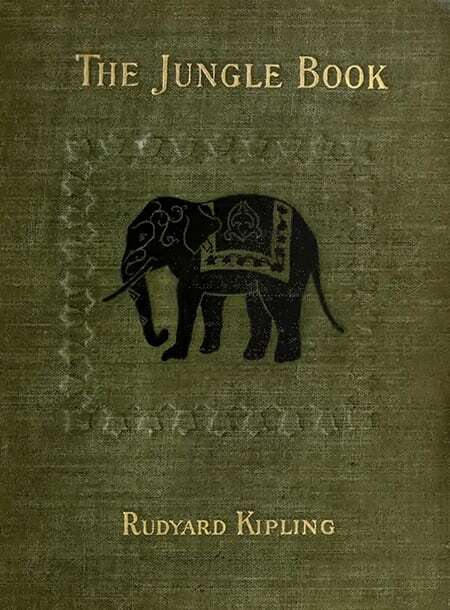 Shere Khan, the tiger, pursues a small Indian boy who strays from his native village, but Shere Khan is lame and misses his leap upon the child. When Father Wolf takes the boy home with him to show to Mother Wolf, Shere Khan follows and demands the child as his quarry. Mother Wolf refuses. The tiger retires in anger. Mowgli, the frog, for such he is named, is reared by Mother Wolf along with her own cubs. Father Wolf takes Mowgli to the Council Rock to be recognized by the wolves. Bagheera, the panther, and Baloo, the bear, speak for Mowgli’s acceptance into the Seeonee wolf pack. Therefore, Mowgli becomes a wolf. Baloo becomes Mowgli’s teacher and instructs him in the lore of the jungle. Mowgli learns to speak the languages of all the jungle people. Throughout his early life, the threat of Shere Khan hangs over him, but Mowgli is certain of his place in the pack and of his friends’ protection; someday when Akela, the leader of the wolves, misses his kill, the pack will turn on him and Mowgli. Bagheera tells Mowgli to get the Red Flower, or fire, from the village to protect himself. When Akela misses his quarry one night and is about to be deposed and killed, Mowgli attacks all of the mutual enemies with his fire sticks and threatens to destroy anyone who molests Akela. That night, Mowgli realizes that the jungle is no place for him, and that someday he will go to live with men. That time, however, is still far off. This book was baked used bookiza. The source code/manuscript of the book is available on Github.